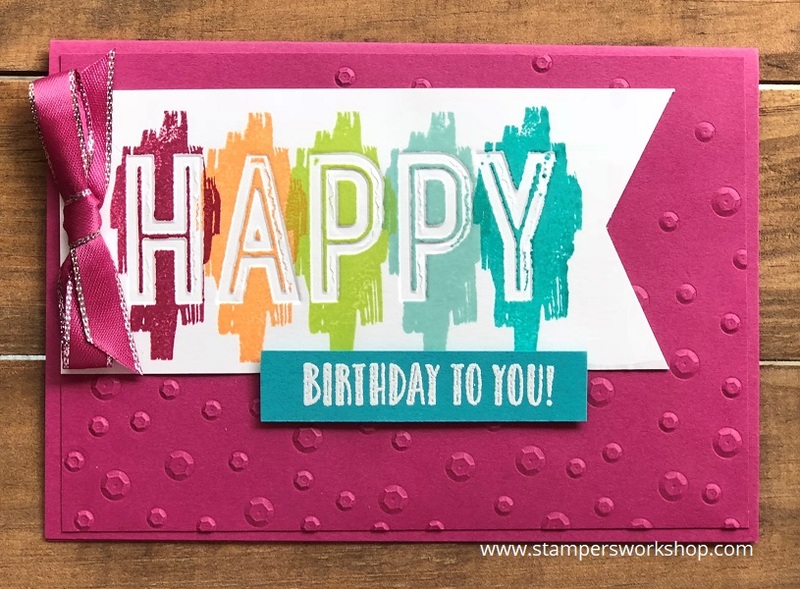 Hi, one of the benefits of the Celebrations Duo Textured Impressions Embossing Folders is that you can very easily create two cards at the same time. 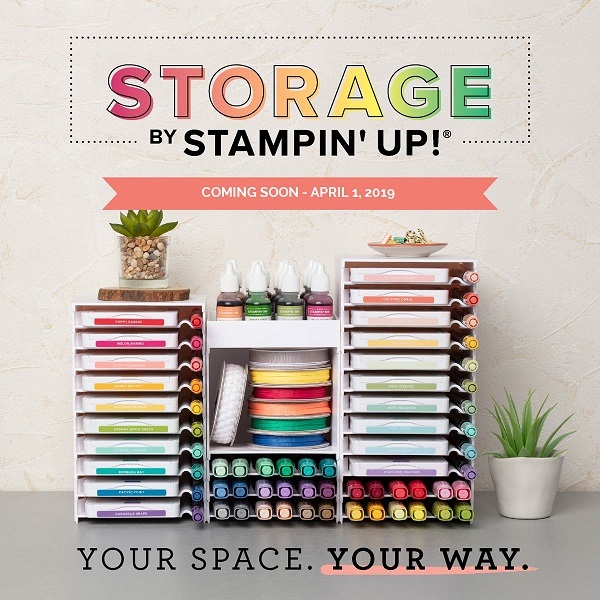 It’s so easy and I cannot wait to share this idea with you. Firstly, cut a piece of cardstock into four card front panels (put two aside to use at another time). Place one panel into the embossing folder and run it through your Big Shot. (I will be cutting this down later but I tend to start with a larger panel just in case the image is a little wonky). While I had the Big Shot out I also ran a piece of Berry Burst cardstock through in the Scattered Sequins Dynamic Textured Embossing Folder as this is the background of my first card. Next up is the stamping. Select the colours you would like to use. 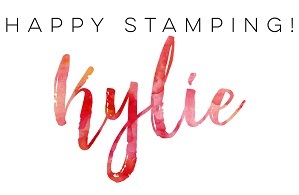 For my cards, I was inspired by the colours used in the Picture Perfect Party Suite – Berry Burst, Peekaboo Peach, Lemon Lime Twist, Pool Party and Bermuda Bay. 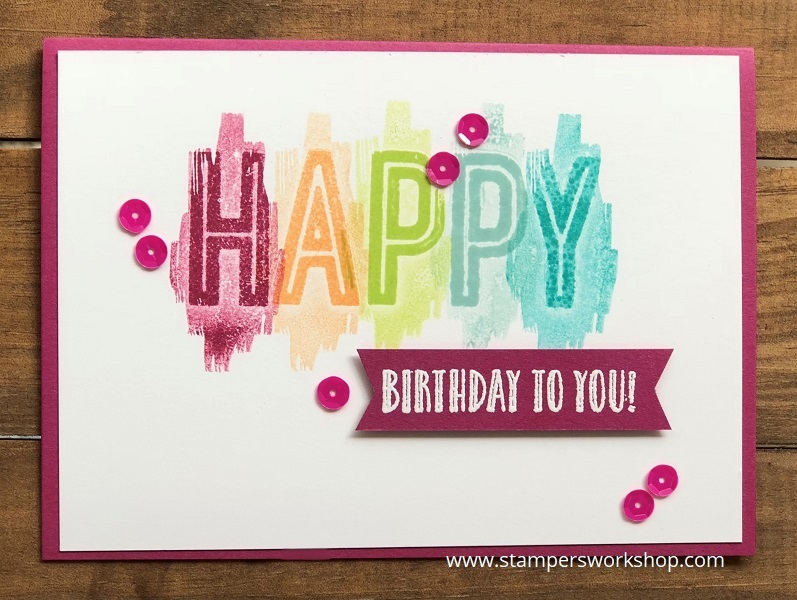 I started with the centre letter of the word ‘Happy’ and stamped on it with Lemon Lime Twist ink. It looked so good! Don’t clean off your stamp at this stage. Stamp it again on the second card front panel you cut earlier. Now, it isn’t going to be a perfect image but it still looks really good! Repeat for all the letters. Finish the card as you like. For the second card, I had a few sections which didn’t stamp perfectly so I used the Tutti-Frutti sequins to cover up a few of the bigger blemishes. Isn’t this a cool technique? And, it is so easy too! Let me know if you give it a try! I’d love to see what you come up with.